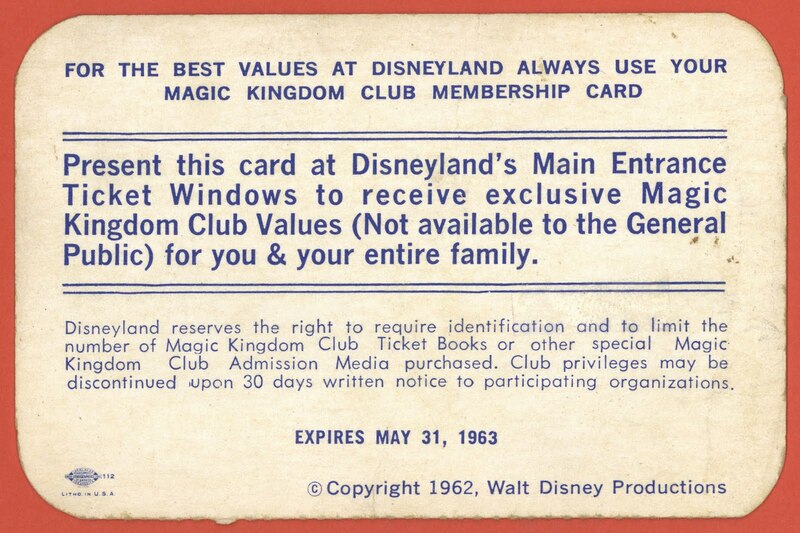 Taking yet another look at Disneyland’s Magic Kingdom Club today we’ve got a membership card from 1963. 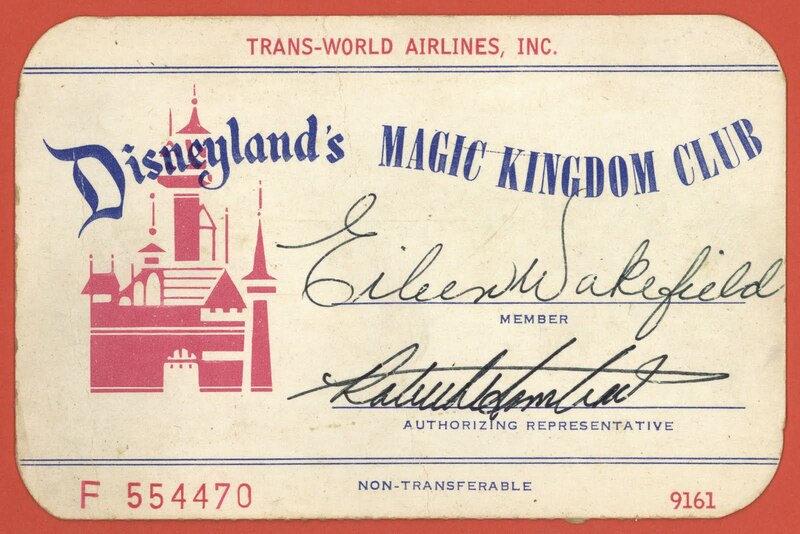 This club card was issued to Eileen Wakefield (what an awesome signature!) and apparently she worked for Trans-World Airlines. 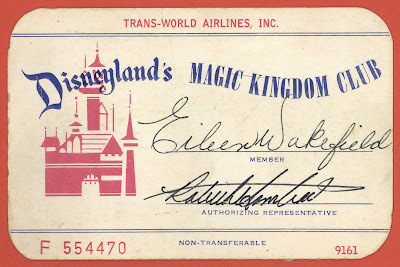 I guess TWA still got Magic Kingdom Club membership status even though they had just recently dropped sponsorship of the Rocket to the Moon Ride. The usual “let them eat cake” disclaimers on the back. 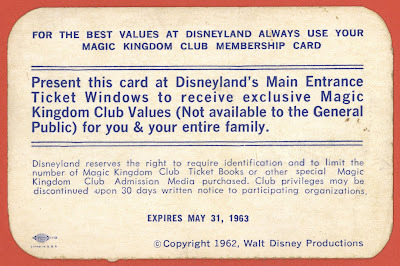 Interestingly, some Club memberships expire at the end of the year and some (like this one) expire right before summer starts. 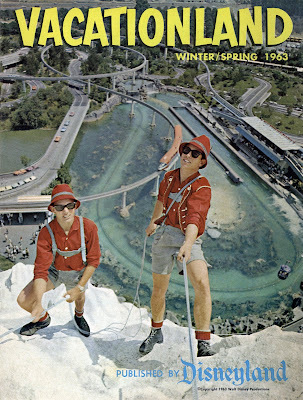 How about a vintage Vacationland Magazine to go with the 1963 Magic Kingdom Club membership card? This cover photo on the Winter-Spring 1963 Vacationland is so familiar that I could swear I’ve posted this issue before, but I don’t think I have, at least I can’t find it anywhere on this blog. 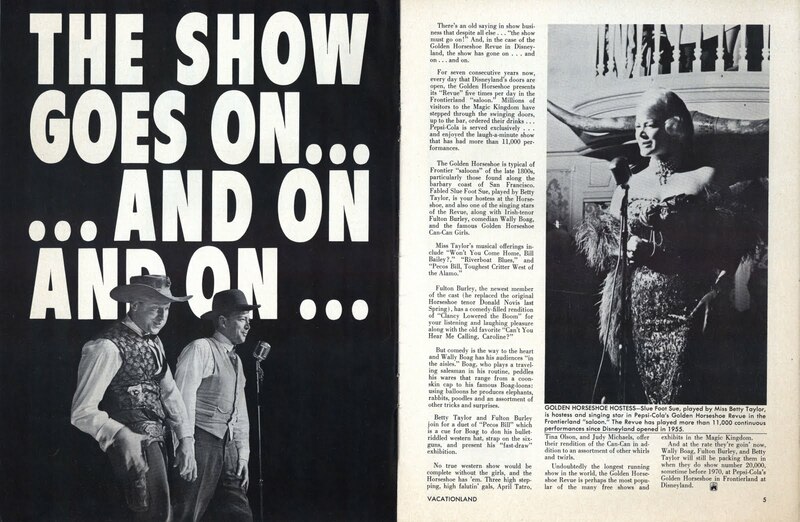 They thought this show was already an old timer, I think it’s got a few more years to go! 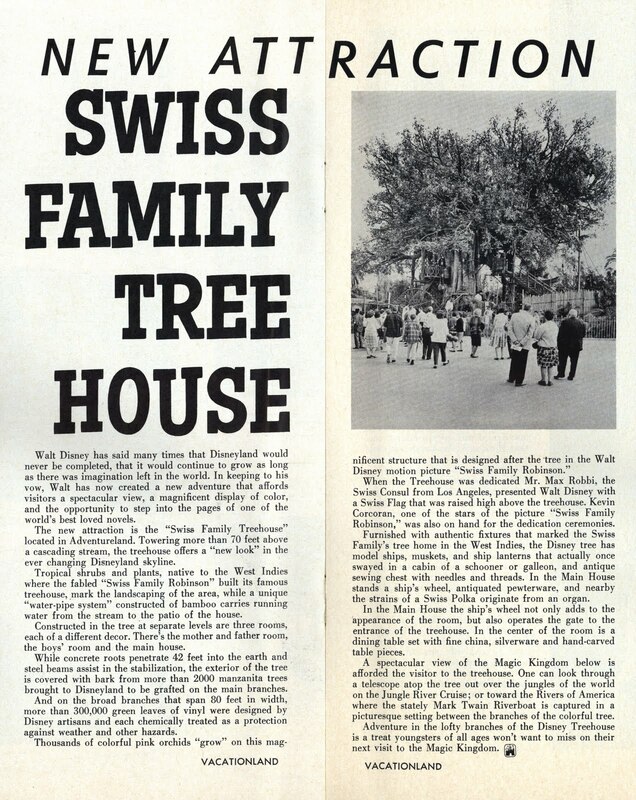 Next year being the 50th anniversary of The Swiss Family Tree House attraction wouldn’t it be amazing if they evicted Tarzan (do kids even know who that guy is?) and moved the Robinsons’ back in??? Let Kevin Kidney coordinate the restoration and it will be perfect! The article mentions a Swiss Flag at the attraction, I know someone who "acquired" one of those flags directly from the tree house, maybe they would donate it back if gets restored. Great wall map, the cast members are a bit creepy however. 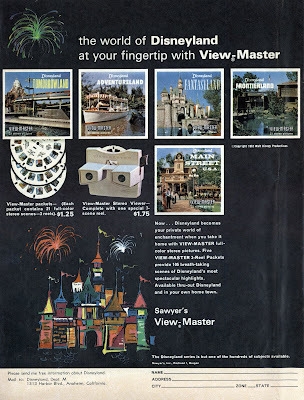 Viewmaster’s and Disneyland were really hitting their stride by 1963. That’s a neat castle drawing, a bit of a Monet influence? 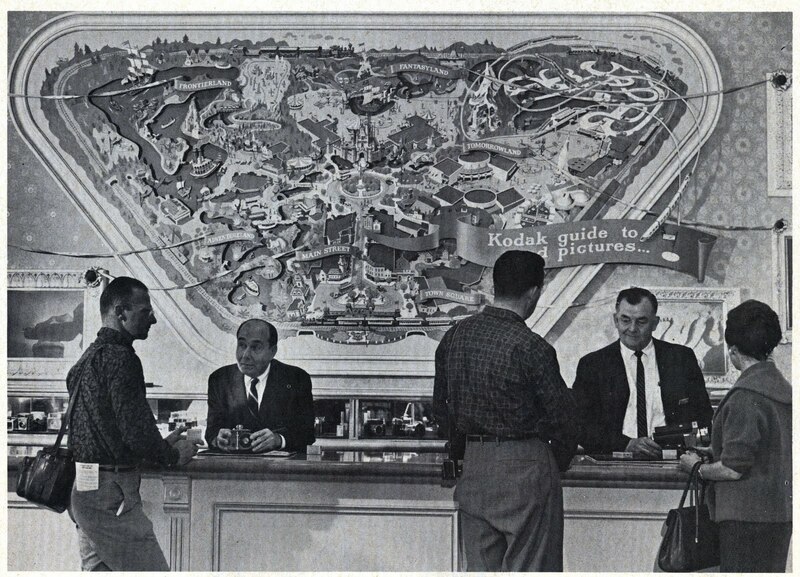 Boy, I covet that giant wall map. Looks like it has some dimensional features! I'll bet it is in a landfill somewhere now. 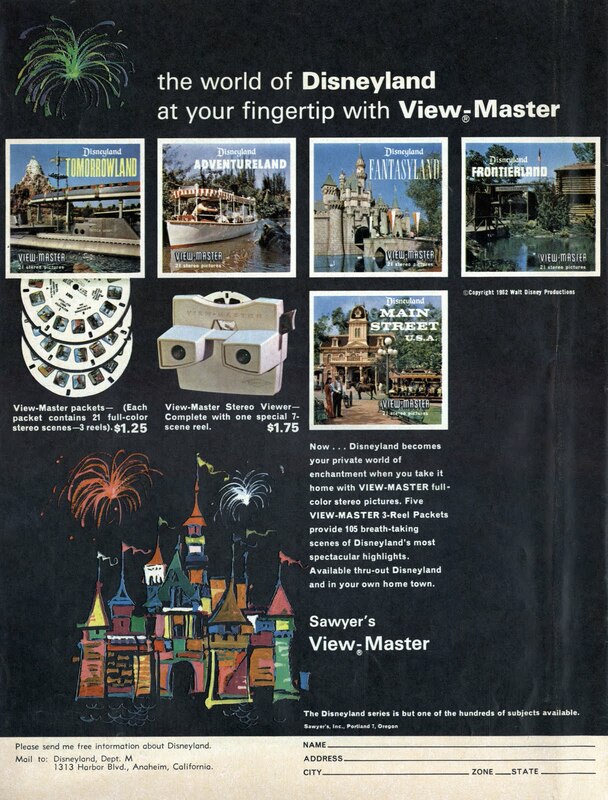 Those Viewmaster packets (knows as the "S5" style) have some of the most attractive covers; minimal text, big colorful pictures. I think 1963 was the last year they were produced before the style changed. The Magic Kingdom Club was created as a benefit that companies nationwide could purchase for their employees. The design of Vintage Disneyland huge and outclass ,Its prefect for kids fun .